San Juan Capistrano’s newest foray into sustainably-minded dining is Trevor’s At The Tracks. Located at the city’s iconic train depot, the venue features a contemporary menu built on a foundation of locally sourced fruits and vegetables and proteins, prepared by veteran Orange County chef Joseph Tripi. Patrons can expect starters such as ahi poke nachos, mains like miso honey-glazed salmon and chimichurri skirt steak, as well as burgers and sandwiches. The spot also has a California-centric wine list, local craft beer selections and craft cocktails made with ingredients grown on site. For more information, visit the restaurant’s website. Trevor's At The Tracks, 26701 Verdugo St., San Juan Capistrano, CA 92675, 949-493-9593. Upscale taqueria concept Puesto has made its Orange County debut Known for creating classic Mexico City-style street tacos with locally sourced ingredients and from-scratch salsas, the venue is located in Irvine’s Los Olivos Marketplace, a stone’s throw away from the Irvine Spectrum’s massive sprawl. This marks the third locale for the eatery, which also has outposts in San Diego and La Jolla. Puesto, Los Olivos Marketplace, 8577 Irvine Center Dr., Irvine, CA 92618, 949-608-9990. Il Barone Ristorante has announced it will be relocating. The Newport Beach eatery, known for its old-school American Italian fare and propensity to host power lunches, will be moving about one mile up the road at the end of May, when it will take over a space formerly occupied by a Coco’s. The restaurant will continue operations in its current location until the relocation is complete. 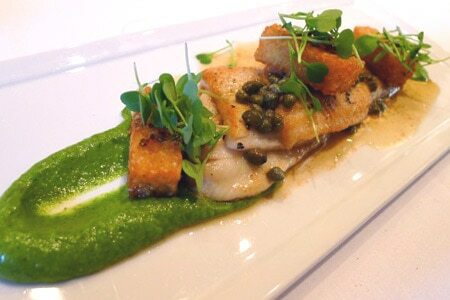 Il Barone Ristorante, 4251 Martingale Wy., Newport Beach, CA 92660, 949-955-2755. Shinkou Sushi & Poke in Laguna Hills has closed its doors after nearly six years in business. The reason for the shuttering was partially due to an inability to negotiate new lease terms with the building. No replacement venue for the now-abdicated space has been announced. Shinkou Sushi & Poke, 24881 Alicia Pkwy., Laguna Hills, CA 92653, no phone. 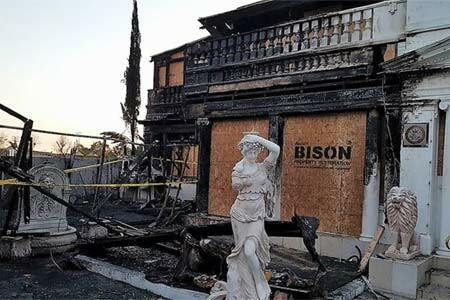 Chef/owner Bruno Serato's restaurant, Anaheim White House, suffered a fire on Saturday, February 4, 2017. Anaheim White House, 887 S. Anaheim Blvd., Anaheim, CA 92805, 714-772-1381. Marché Moderne, the French restaurant from owner/chefs Florent and Amelia Marneauin, will relocate to Newport Coast’s Crystal Cove Shopping Center, in the space formerly occupied by Tamarind of London. The restaurant’s former location opened in 2007 in the upscale Costa Mesa shopping center. The new locale is slated to open in spring 2017, when it will rub shoulders with such luxe dining venues as Bluefin and Maestro’s Ocean Club. Marché Moderne, Crystal Cove Shopping Center, 7862 E. Coast Hwy., Newport Beach, CA 92657, 714-434-7900.